Re: Wilderness Energy BD36 running at 60v stock controller! Anyone know the maximum charge rate of the SLA batteries. I got a 12v 1A charger and if my calulations are correct 5 12AH batteries wired parallel would give me a reserve capacity of 60AH meaning my charger would take 60 hours. If the cells batteries were completely flat. I can deal with a day of charging but 2 1/2 days Nooooo!. And i got two sets that need charging.... guess imma have to break down and get the 60v charger. I did a second run today at 60v with stock controller and installed speedo i clocked 36 top but i wish i had someone lighter to test it with to see the speed with an average weight rider..... Also the controller does know how much voltage you are giving it. I know this because when the packs were about dead the empty light came on ...on my throttle. I was shocked at this. Maybe the controller is actually worth something. With the speed and the amps it was pulling i wasnt able to do the normal length of my trail ride. Time to upgrade to lithium to get those 20AH i need to be back where i was before as far as range. We're using the stock controller, i.e. it came with the wheel kit when we bought it. There's a guy above who's using Dewalt packs. 60v guy (icecube57) is using SLA. On a different topic, I've recently had a dramatic decrease in range on my ride. My 6 mile commute is mostly flat, but suddenly if there's any wind at all I find my Low Batt indicator is lit and I'm having to pedal the last two miles. I've tested all 4 SLA's. I even replaced one that seemed to sag more than the other 3 after being off charge for 24 hours (the SLA closest to the fire referenced above). I'm having to back down on the throttle for the whole ride just to make sure I get there. My pack starts off at nearly 55V when fresh off the charger. Anyone have any idea what could cause this? Is this a possible symptom of worn brushes? I'm not hearing any grinding noises. I was running at 60v 66-67 charged with my SLA pack on stock 36v controller for little over a month. I went out for a ride the other day and it sounded like a handgun going off. The fets blew on the controller. I order a 60v controller thats supposed to peak between 60-100A this should be fun. Check the resistance of your SLA batteries. Its supposed to be between 14-19million ohm fully charged. Depending on brand. Check the data sheet on your batteries. If its way high i think it signals a bad battery. Ive been trying to balance my slas but i think they are just made different .I abused one and left it sitting at less than 10v for a month but funny that one fully recover after cycling.. the sister cells is whats acting Fully charged without the float charge on them and sitting more than as day my voltages range from 13.2- 13.7 same batch. Some charger at higher voltages than the other. Its the internal resistance. Its best to replace the whole string of batts in a pack if one fails. Try giving your batteries a good cycle a good discharge and a slow recharge and repeat. to regain capacity. Sounds to me you have a weak bat in your pack. It should be revealed in a load test. Hook a headlight in series with a volt meter. And check the volt drop. You should find your weak battery. Please forgive any poor "V"etiquette as I am new to the forum. I have a BD36 with 3 12v batteries in the back. When I purchased a kit from eBay, I joined a EV disscussion group and was told (by a person who seemed to know quite a bit) that I could go to radio shack and add another 12v batt. and get maybe 5 additional 5 MPH. Now that I have become addicted to EV, I would like to do this. Since then, everyone I have asked replies "don't do it it will fry your controller and/or motor). Well this discussion seems to disprove that. I would like for someone to let me know what the possibilities are for me. http://www.tncscooters.com/YK42-3.php Here are the specs for the controller I put on after I fried mine by trying to fix my throttle. Any responses will be greatly appreciated. Thanks for having me. E-Biking, the way to go. I'm using a BD36 with 4 12v batteries. I have about 350 miles on it, seems to be fine. I would think you'd want to match your existing batteries, otherwise, it would probably only be as good as your weakest one. I get about 27 mph out of mine, on flat surface, without pedaling. I have 4 batteries, 12ah. I get about 12 to 14 miles on them without charging. That lets me pedal lightly with it and go 22 to 24 mph for the trip. Everything on mine is standard issue product. The challenge here is that you replaced the stock controller with an entirely different model. My entire experience is with the stock controller. While the motor will certainly handle the increased voltage, you might have to search around to find someone with experience with your specific controller. Otherwise, 48v might immediately fry your new controller if its internal capacitors are less forgiving than the ones in the stock controller. I'm not sure what drove you to the new controller, but you can buy a stock replacement controller from WE. I've got close to 1000 miles on my bike at 48v and no issues. Thanks very much for the help. I switched controllers as my original throttle broke and I touch 2 wires together which fried the original controller. My bike with three batteries will do 26, and I am 230 lbs. I am surprised that yours is not faster. Anyway before I can think about another batt. I have to work on my hub the wires tore away and anyone who has taken the side off of the hub, knows it is not easy. Wish me luck and thank for the friendly welcom. Lewish, I wanted to let you know that My bike with the 3 batteries will do 19-23mph. I said 26 but that is when I am pedaling. Also, when you say stick with the same type of battery. Do you mean as far as the specs or the actual name brand? I assume that you meant spects, but want to make sure. One thing I like is that no one has ever noticed that my bike has a kit on it. I found a very cool way to mount the batteries very tight under the seat. Although I am dumb as a post when it comes to the electricity, I have always had a knack for "jury rigging" things. It will be a challeng to add a fourth batt. and still make it just look like normal bike pack. I will send pics when I am done. When I go to their website, I see where you can buy the kit, the accessory page only had one item, and the bargain bin was empty. We on the site would I go to look at or purchase controller or other parts. Phil, I meant the specs for the batteries. I'm no electrical expert, but if you get a battery with all the same characteristics and specs, I'm sure it would be fine. I've put my four 12ah SLA batteries in Panniers, two on each side, so the gravity position is lower and they are out of site. I can tell the difference in handling of the bike with them in Panniers vs. a bag on top of the rack. You're right. It took searching to find stores that claim to have it. Wide variation on price. You should probably e-mail them first. Some have a replacement throttle as well. I know you have noway of being sure till' someone tries it. However, hypothetically, if I found a way to put 3 more batteries 12v (same specs as I have now)on my bike and purchased a 72v controller, and charger it would work on the BD36? If you have aready stated it and I missed it forgive me, but what speed do you reach with 4. I don't know about 72v. I consider above 48v wear it out fast territory for brushed motors. When I put a fourth battery on my trike I get about 28-29 mph on the flat vs 22-24 mph with 36 v. The mountain bike is a bit faster, so 30 mph should be about right for a 26 inch BD36 at 48v. Slower of course after a mile and the voltage sag kicks in. Those speeds are quite enough for me on a bike. I like stronger frames and better brakes on motorcycles for higher speeds. Above 25mph on my local roads, I'm just bending wheels and breaking spokes anyway. 48V on my BD36 got me 27mph when it was in a 26". 72V would be a 50% increase, so just over 40mph. The BD36 would fry at this speed, I think. Thanks for being the "sobering ying" to my "raging yang"! Your voices are of wisdon and reason. I don't why I would try it. At 36 I have fun, and at 48 I probably wouldn't feel safe going any faster. And yes the instructions on that link went well beyond what I have time to do right now. I weigh 145 lbs and typically average 26 mph with a top speed of 32. In the end what this did for me was change the top-end speed of the motor into a sustainable speed. If you're going to use SLA's, I'd definitely find a way to carry the batteries lower on the bike. BTW, like Dogman, I think I observed that I did actually get a low indicator at the proper time with my pack. I wasn't expecting to see it work properly with higher voltage. I'm new to the forum. Just reading has been very helpful so far. I'm soon to go up to 48v on my BD36. One concern is primarily from the Crystalyte forum. There are a few people there who report problems with front suspension, so I'm wondering if adding power will be a problem. I have a Mongoose aluminum frame with Mozo M30 front forks (steel tube). The only specific problem reported is with the dropouts. Those on mine look to be about 3/8" steel. Hard to imagine that those would break. Anyone know of any other problems with front suspension forks? I've put about 200 miles on these with no problems so far. I plan to use the stock BD36 controller with 48v. Has anyone heard of any problems with that yet? The pictures above ("this issue" link) show more wear on the motor at higher voltage. Is that from voltage, or speed/friction/heat? For example, would a constant 36v 20amp have the same impact on the motor as 72v 10amp? Sorry for so many questions on the first post. Hope I did this correctly. I have standard MTB steel forks on my bike with no problems. Always a good idea to periodically inspect your dropouts and make sure your bolts are tight. While I can't comment on the suspension forks, I've got over 1000 miles on my bike at 48v without any wear issues. While I'd expect more wear at higher output, I had difficulty drawing conclusions from the pictures because I don't recall finding any "before" pictures just "after" pictures. Further, I'd like to see a set of comparitive pictures with a motor only run at 36v. When I was told the motor was rated at 96v I was not told how that would effect motor life relative to 36v. Even after mashing my cheapie steel forks to fit the hub, I have seen no indications of a problem with the dropouts. I run the MTB at 36 v, and the trike too most of the time. When I need to go a bit further, and since the Kmart is down the big hill, I will put the trike on 48v, with the same forks and have no problems. On both bikes though, there is a shocking ammount of lateral play in the tubes, but that was present when braking even before the motor. It hasn't increased any with the motor, but it's bound to be putting a lot more than normal wear on em. Since the tubes are steel, it's not worrying me any. Above 48 volts is definitely torque arm time, or big x5 motors at any voltage. The WE hubs are pretty strong, but I think as long as you have steel and a good flat connection at the washers you are ok at 48v. I may be cracking my motor soon, so I'll take some pics when I do. I've climbed the big hill too many times when it was 100F, so there are some very funny noises coming from my hub now. Still running fine though. I ordered the new battery and 48v charger this morning, so will be running 48 volts in about a week. Has anyone checked range improvement? If the BD36 gets about 15-20 miles at 20mph at 36 volts, does 20mph at 48 volts extend the range? dogman, Hw mny miles on your BD36 now? Did the first run at 48 volts today (stock BD36 kit with one extra battery). Much more fun than 36 volts. Not sure if torque ends up much better, but going into a small hill faster helps. Think I may have screwed up the new charger though (reversed polarity, heard some sizzling at the plug). Good thing I tried to check the charger before I plugged into the controller. Had to rotate batteries with the 36 volt charger. Anyone know how the TNC Scooters chargers are supposed to work? The description at their site says lights will be red during charge and green when charged. I have one red and one green. Hoping it's just a bad connection that can be fixed with a new connector. I've contacted them, but haven't heard back yet. Oh bummer, join the club, I sizzled two chargers doing the same dumb thing twice! Others just arrived non working. A fourth battery will lengthen your range some if you ride at the same speed, but since you will be very likely to climb hills faster, and leave stop signs faster, it won't be quite a 25% increase. If you are getting 20 miles out of the stock batteries on a BD36 you are either very slow or very light. The best I ever got was 8 miles, but that is at full throttle. When I get 20 miles now, that is with a Ping battery. My original motor, on the trike, has about 450 miles on it. The second one, that I fried and repaired and is on the MTB, now has about 550 miles. Crossed the thousand mile mark this friday on the way home. I'm on track for 3 or 4 thousand miles a year. I tend to ride about 75 to 100 miles a week. It was more, but now I take the bus halfway home to avoid climbing the hill in the heat. The longest I've gone has been 8 miles (round trip to and from work), but seems to be a fair amount of power left in the home stretch. I'll probably not ride much faster with 48 volts, but hoping to peddle less on warmer days. Think blowing the charger was a cool trick? Should have seen what happened when I was trying to use some needle nose pliers to work on the sizzled receptacle -- with the batteries still connected! I'm getting some quick responses from TNC Scooters. Charger is definitely blown. There are not any instructions that come with the chargers, but both lights are supposed to be red when charging, and green when charge complete. I had one red and one green after it blew. 36 volts makes a good welder doesn't it? You'll get through the boo boo list pretty fast. Everybody seems to learn the hard way best. 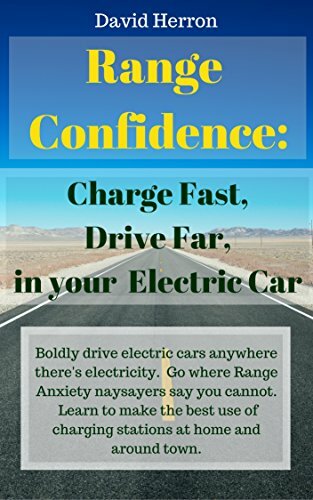 Aren't you glad you are learning about EV's at 36 volts and not 120, on a car where boo boo's cost thousands? Got the new 48v charger yesterday, and got everything wired correctly this time. Did another run at 48v today, maybe 5 miles. Speed is definitely much improved (no speedo connected yet). Torque on the hills, not so much improved. Climbing some hills is the same speed at full throttle and at a little less than full throttle (I'm primarily referring to a hill that I can't approach with any speed). Have to peddle about as much as with 36 volts. I guess that means some less use of battery capacity to climb hills though. No point in extra heat to the motor if it just won't go any faster. Still planning to go about the same speed to work (mostly around 20mph), maybe a bit faster, so should have some increase in range. 48 volts seems to get a little hotter, but if I ease up on the throttle that shouldn't be a problem. Not that happy with the battery mount (tool bag strapped on with bungee cords), but don't like the idea of panniers that much. Any creative ideas?